You might not think it to look at us, but Australians have a lot in common with Italians. Neither nation is afraid of speaking their minds, we’ve made taking it easy and living the good life into an art form, and both countries populated by snappy dressers (well, sort of). And then, of course, there’s a mutual love and respect when it comes to great quality, accessible, delicious and easy-drinking wines. 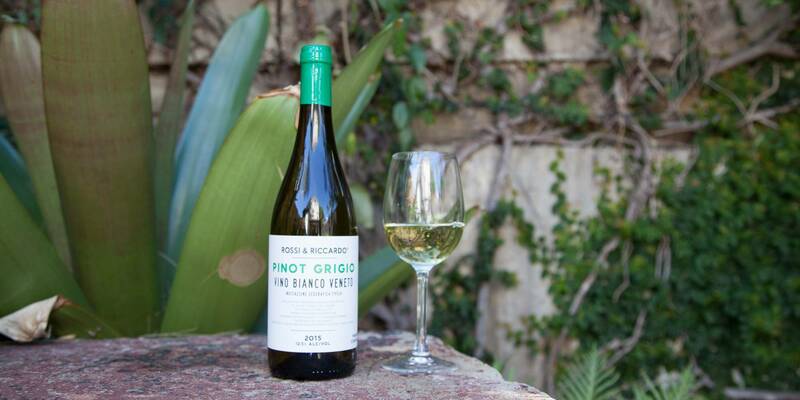 This connection between lands on opposite sides of the globe is what sits at the heart of Rossi & Riccardo, Australia’s finest importer and producer of top-drawer Italian vino. Some wines are all about fruit, whereas others have an sometimes intangible succulence that makes them seem like they are infused with minerals and light - they energise your palate and make you salivate. The acidity is long and fresh - akin to biting into a fresh green apple. Crunchy, fun and refreshing. This is one of those wines. Pinot Grigio can be light on in terms of flavour sometimes - not here! Apple, lime, salt, rocks, fresh sea breeze, almost a tonic-water like tang to it. 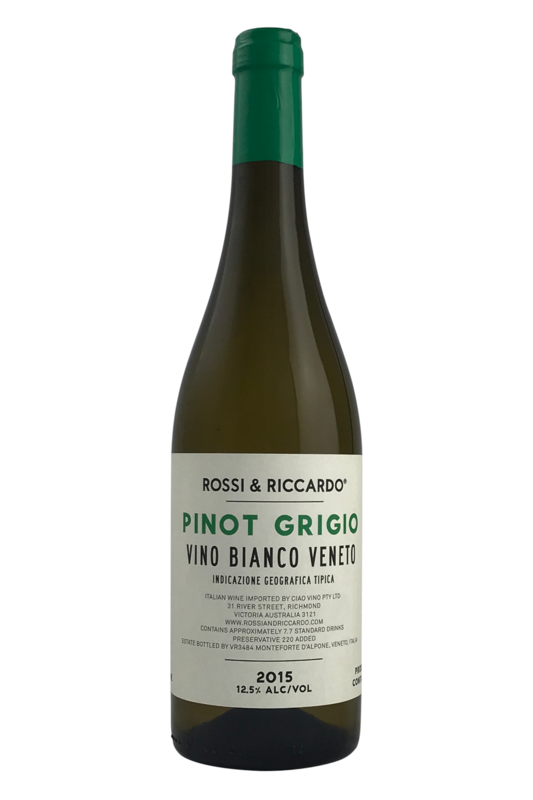 So great to see a proper Pinot Grigio that over-delivers in terms of lightness and brightness but doesn't sacrifice for flavour.